For ticket information call 503-265-2270. 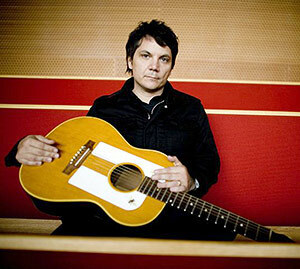 Jeff Tweedy, frontman for the critically-acclaimed rock band Wilco, will perform a rare solo acoustic concert at Spring Splash, Clearwaters annual fundraiser on Saturday, March 28 in Beacon, NY. Special guests are also slated to perform at the event. Ticket prices for this benefit concert are $45 and $75, with a select number of $150 tickets, which include a pre-concert reception, premium seating in the first five rows and a one-year membership to Clearwater (new members only). In addition, 15 ticket holders at the $150 level will be chosen at random to participate in a pre-show meet and greet with Jeff Tweedy. Among fans of contemporary rock Jeff Tweedy needs few introductions. Since the mid-1990s he has led Wilco, a band that works in a spectrum of Americana musical styles and is esteemed for its compelling songs and impassioned live shows. Tweedy, the groups chief singer and songwriter, has consistently kept Wilco evolving over the course of seven CD releases, and the band has also participated with British singer-songwriter Billy Bragg in recording music for Woody Guthries lyrics.